Super Bowl Sunday has become an unofficial national American holiday! The Super Bowl is the championship game of the National Football League (NFL) and this year's Super Bowl XLVI (46) takes place in Lucas Oil Stadium in Indianapolis, Indiana on February 5, 2012. 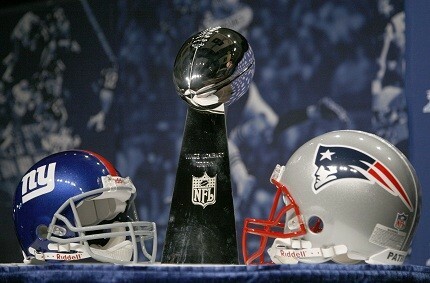 This final game is a face-off between our hometown New York Giants and the New England Patriots. If this is your first Super Bowl game, then here are some fun facts and tips for watching this Sunday. All players have a number that indicates their primary position. However, some players are allowed to keep their jersey number even if they change positions. Even if you don't have an inkling of how the game is played, watching the commercials and advertisements can hype anyone up for the Super Bowl. During the game, advertisers pay up to $2.8 million for a 30-second spot. Famous directors are hired to create the ads, which often become viral online videos. The ads are then viewed by millions of people around the world. Football players follow an extensive regimen of fitness classes that may include yoga, Pilates, ballet and tap dancing. No wonder a 250-pound male can be so nimble on his feet! 2011's Super Bowl attracted over 111 million viewers. Super Bowl Sunday is the second-largest day for U.S. food consumption after Thanksgiving. Popular dishes are Buffalo wings, hero sandwiches, chips, dips, soda and pizza.